We provide hunts for Archery, Muzzleloader and Rifle hunters. 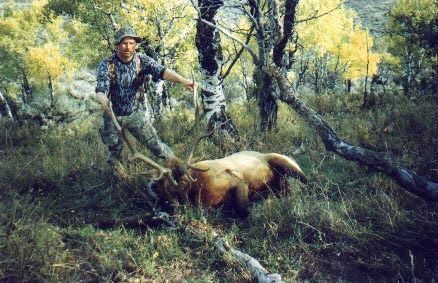 We limit the number of hunters on this property to optimize your success and enhance our service. We hunt deer and elk on private land in Unit 23. We have leased another ranch with 10,000 acres of really good hunting that started in 2013. The Hunting Lodge has been remodeled just for YOU! 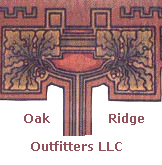 Oak Ridge Outfitters is owned and operated by Russell Overton. Russell was born and raised in Meeker, Colorado. His experience as your guide comes from years of guiding for other ranches and his true love of hunting and the outdoors. He has had experiences hunting in Alaska and New Mexico as well as the King Ranch in Texas for Nalgi antelope. His trophy collection includes elk, deer, antelope, mountain lion, big horn sheep, mountain goat and bear. Helping Russell with the operation of Oak Ridge Outfitters are his wife, Joan and sons Ethan and Noah, who also share his enthusiasm of hunting and the thrill of being outdoors! We look forward to sharing with you an ultimate hunting adventure in the Northwest Corner of Colorado at Oak Ridge!